Gradually add the eggs and beat well to combine. Add the banana, hazelnuts, chocolate, flour, baking powder, bicarbonate of soda, cinnamon and golden syrup and stir to combine. Spoon the mixture into a 26cm x 11cm (2.5 litre-capacity) lightly greased loaf tin lined with baking paper. Bake for 70–75 minutes or until cooked when tested with a skewer. Cool in the tin for 20 minutes before turning out onto a wire rack to cool completely. Slice to serve. Serves 6–8. A delicious recipe but needs cooking for 85-90minutes. I took mine out of the oven at around 80 minutes and it was undercooked :( I’d also suggest upping the temp by 5 degrees or so. Best banana bread! Don’t be put off by the low ratings - I have made this at least five times for different people, and it has always turned out well with people asking for the recipe. 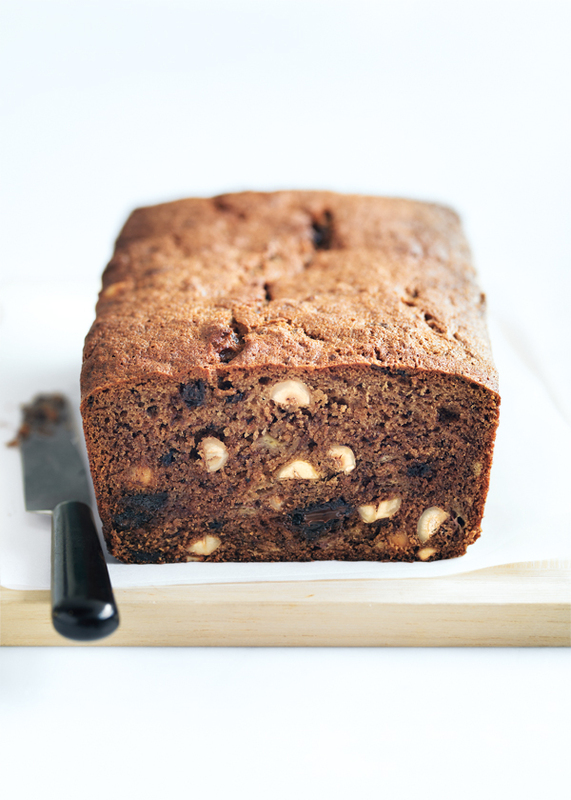 This is a take on the classic ‘banana bread’ recipe by Donna which is rated well. Delicious!